Michele Aichele received her Bachelor’s in Music History from Whitman College in Walla Walla, Washington, her Master’s in Musicology from the University of Oregon, and is currently finishing her dissertation for her Ph.D. in Musicology at the University of Iowa. She researches women in music, with special emphases in American music and early music. Her dissertation examines the reception of French female composer Cécile Chaminade (1857–1944) in the United States. Michele Aichele’s dissertation has been supported through an American Association of University Women American Dissertation Fellowship. She will be presenting a paper based on a chapter from her dissertation at the 2018 National AMS Conference in San Antonio. Additionally, she has presented her research at national and regional conferences including the American Women Pianist-Composers Conference: A Celebration of Amy Beach and Teresa Carreño, the Feminist Theory and Music Conference, the Iowa Musicology Conference, and the University of Iowa Jakobsen Graduate Conference. While in residence at the University of Iowa, she served as the music expert for the History Corps project where medieval books and pages from books held in the University of Iowa’s Special Collections were highlighted and examined through a public scholarship engagement project. This project, If Books Could Talk, examined the provenance of these books, how they might have been used, why they were made the way they were, and how they ended up in Iowa in collaboration with Heather Wacha, historian; Colleen Theisen, librarian; and Katie Buehner, librarian, director, and video editor. In 2009, alongside her undergraduate advisor Susan Pickett, Michele Aichele edited a Prelude and Fugue for flute and piano by modernist American composer Marion Bauer, which was published in 2009 through Hildegard Publishing company. The editing work was funded through a Perry Grant and the publication or the score won an Honorable Mention from the National Flute Association’s 2010 Newly Published Music Competition. Previously, she has taught music courses at Texas A&M-San Antonio and the University of Iowa. 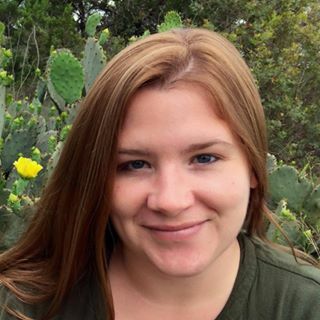 She also specializes in teaching writing and has worked in the writing centers at the University of Iowa, the University of Texas at San Antonio, and works as an editor for the online music education company Liberty Park Music. Michele Aichele is a member of the American Musicological Society, the American Musicological Society Midwest Chapter, the American Musicological Society Southwest Chapter, the Society of American Music, the College Music Society, the University of Iowa Musicology Study Group, the American Association of University Women, and the American Association of University Women-San Antonio Chapter. In her free time, she enjoys performing the music of women composers on flute.